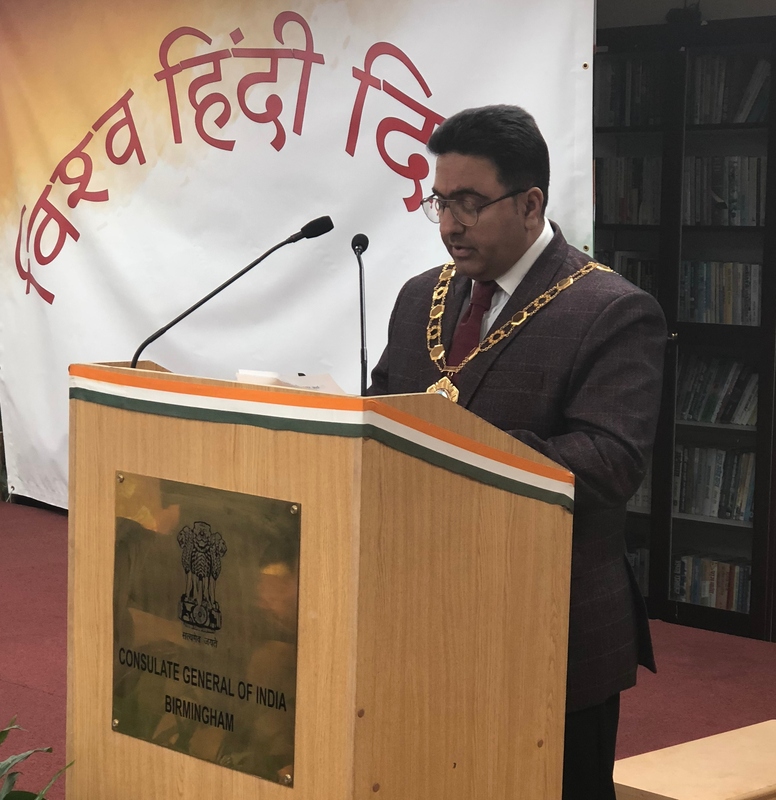 Consulate General of India, Birmingham celebrated the World Hindi Day and Pravasi Bharatiya Divas - 2019 at the Chancery premises on Friday, 11th January, 2019. 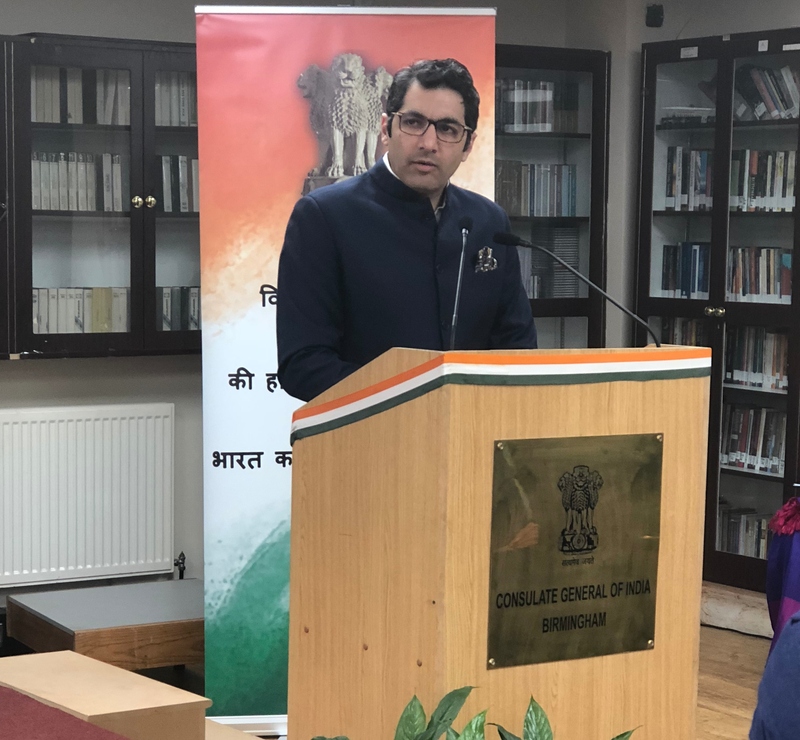 The event commenced with the lighting of lamp by Dr. Aman Puri, Consul General of India, Birmingham and other renowned dignitaries. 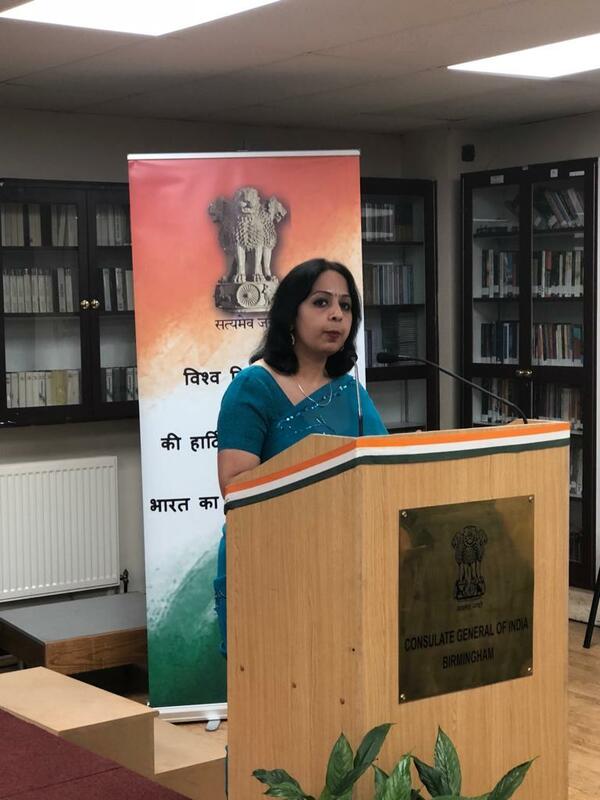 This was followed by an address by Consul General Dr. Aman Puri. 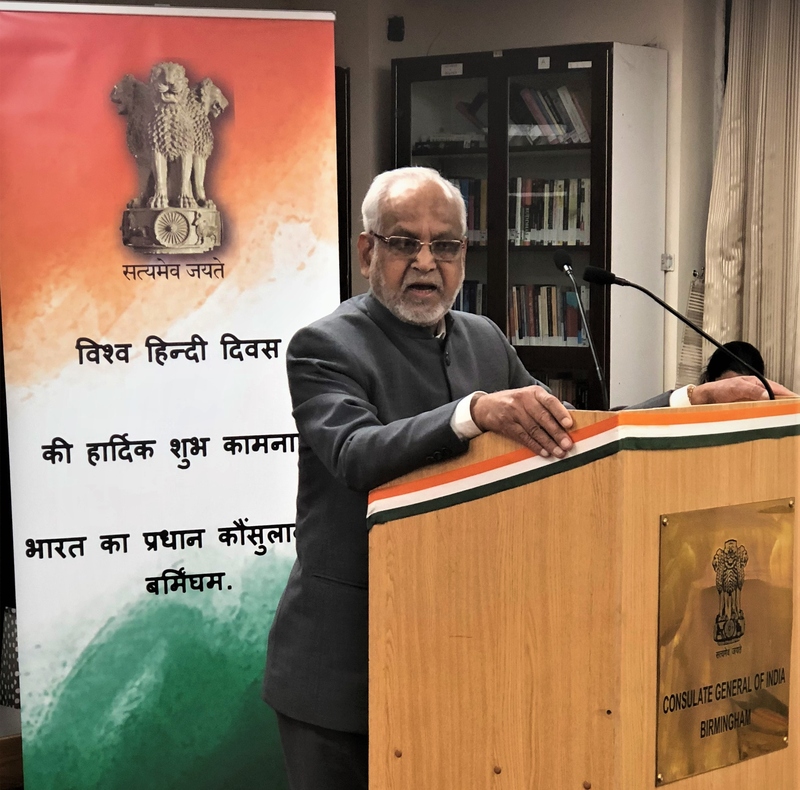 He reiterated the Prime Minister’s invitation to all NRI’s to participate in the Pravasi Bharatiya Divas 2019 celebrations at Varanasi. 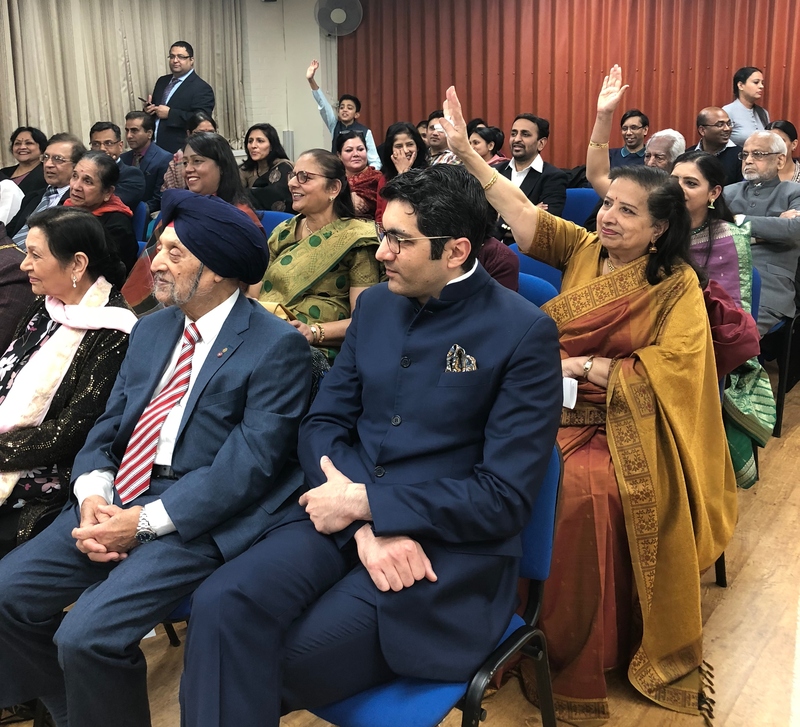 Eminent Non Resident Indians of Midlands and North England including Dr. Rajash Mehta, Mayor of Telford and Wrekin expressed their views on the relevance of the day. 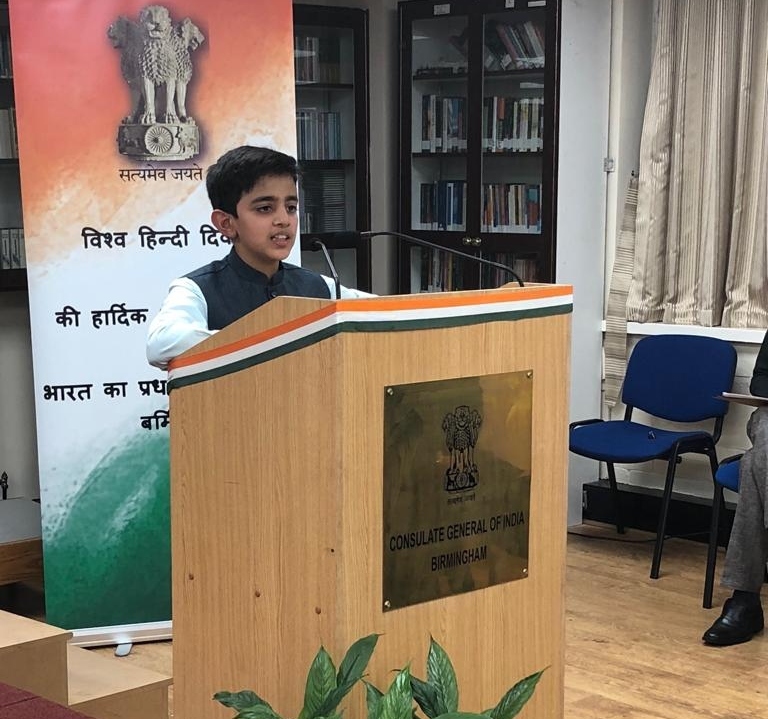 The evening continued with Hindi quiz, stories and essays in Hindi and recitation of Hindi poems by well known dignitaries of Indian Communities. This was followed by prize distribution to the participants. The event concluded with vote of thanks by Head of Chancery and Consul Mr. S. M. Chakraborty. 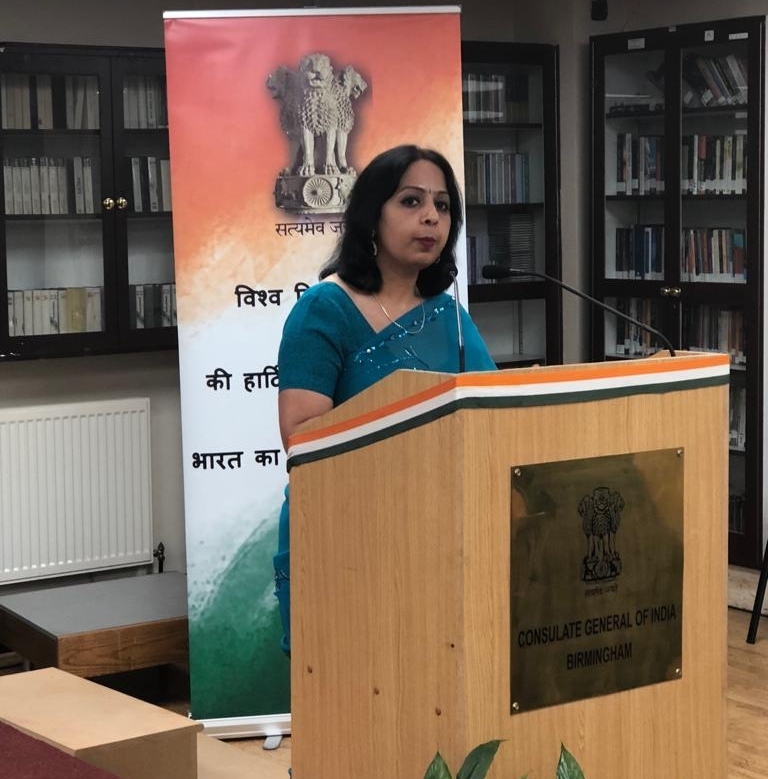 Nearly 100 persons attended the event. 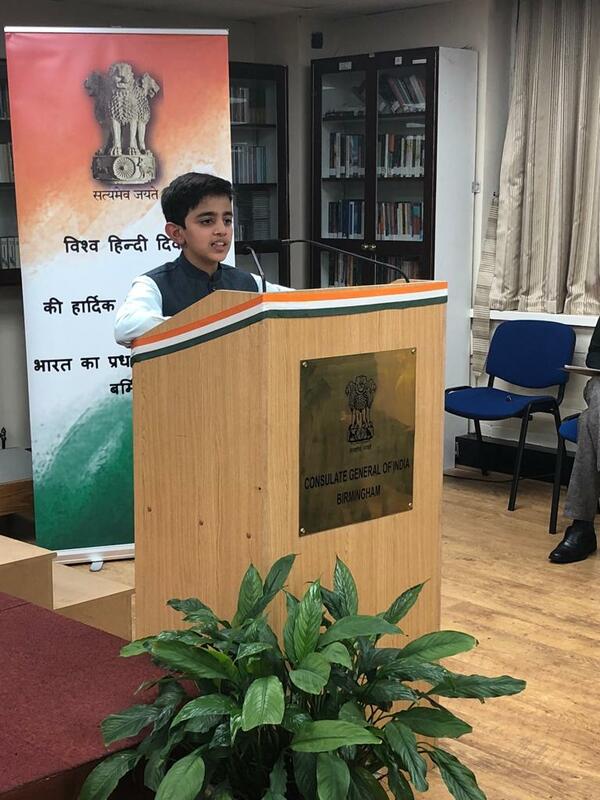 © Consulate General of India Birmingham 2019. All Rights Reserved.